Match Magic is designed keeping preschoolers in mind. It is very ideal for kids between the ages 3 to 5. 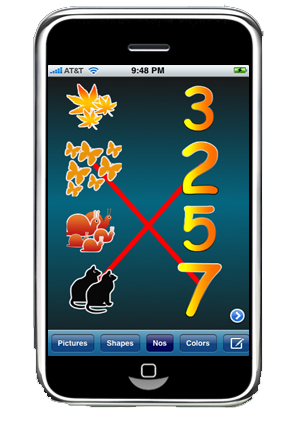 Match Magic is a wonderful game which is designed to encourage preschoolers to learn colors, shapes, numbers, pictures etc in a fun way by matching them. It is designed with a very simple layout. Kids just need to touch and drag from left to right to match the two images. They get a visual clue of a line being drawn as they touch and drag to match them. There are more surprises waiting for them once they solve and match all the image. They would really love to play again and again once introduced to this innovative new learning game. We are very excited to release this version. We look forward to your feedback and comments on this. 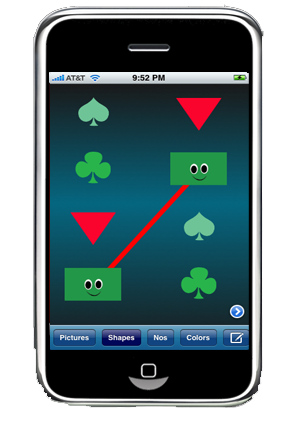 Like our previous games "math magic" and "word magic", this has also been kids tested and approved :) We had spent lots of time researching the usability of this application. 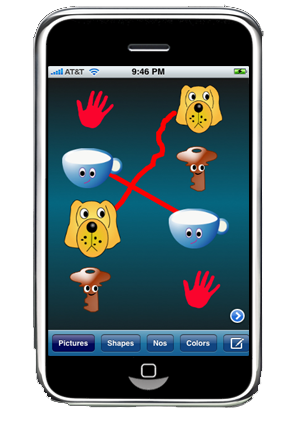 We have been tweaking this application and enhancing it based on how 4 year old kids use this. We have 6 QA's for this application. Yes! 6 preschoolers who approved this application. We had been iteratively testing with 6 different kids of the same age group. 2) Touch and Match images. 3) Learn shapes, colors, number etc. 4) Shake for a new set. This application will go through various levels and will be improved based on the feedback. Your feedback and support are very much appreciated. Have fun, and please send your comments and feedback and enhancements requests to matchmagic@anusen.com. You can visit us at www.matchmagic.anusen.com If things go well, we have some exciting upgrades on our pipe-line . My kids (3 and 5 years old) love this app. It has really helped my 5 year old with her addition and subtraction. I'm sure multiplication and division will be next. The kids really seem to like the UI and love the rewards (stickers, ribbons, medals, cupcakes, stars, etc.) system. Other thoughts: Surprisingly low price. Great value. Get it if you want your kids to start learning arithmetic before Kindergarten.